So far for this trip, certain lineups at popular restaurants have eaten up much of our time. 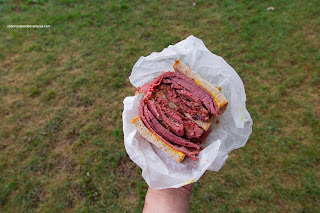 For instance, we wasted almost 2 hours in the ridiculous lineup at Carnegie Deli in NYC for mediocre food (yes, this wasn't lost upon me, but whatever). Then we waited and waited at Momofuku as well (also not as good as we imagined). Let's not forget the almost 3 hour wait at Neptune Oyster in Boston too (but that was tasty). 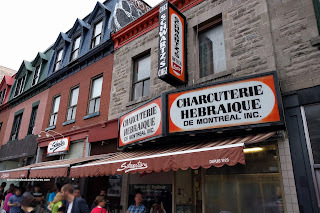 So we were not willing to stand in the Schwartz's lineup in Montreal. Rather, we got take-away and went around the block to Romados and did the same. What we ended up with was the classic Smoked Meat Sandwich that was modest in side, yet at the same time, modest in price (under $10.00). I found the rye bread to be on point for the sandwich as it was soft, yet still stood up completely to the mustard and meat. Since it was a leaner cut, the smoked meat was a bit chewier and drier. As for the flavour, it was really good with many different layers including a noticeable pepperiness. 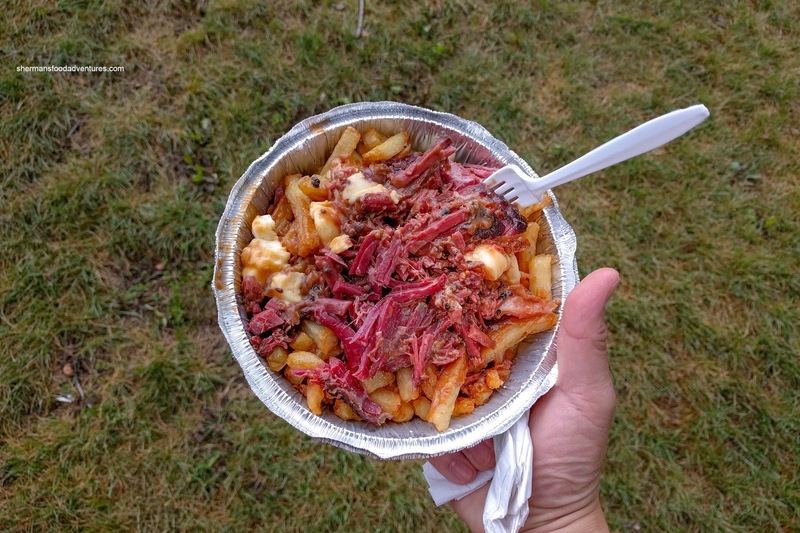 I also decided to get the Smoked Meat Poutine as well. This was a large portion of crispy fries (with a soft potato centre) smothered in a saltish gravy with a modest amount of squeaky cheese curds. 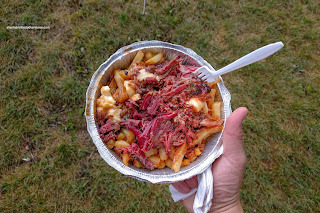 It was topped with plenty of smoked meat that featured a lot of the bark which meat it was even chewier and more peppery. 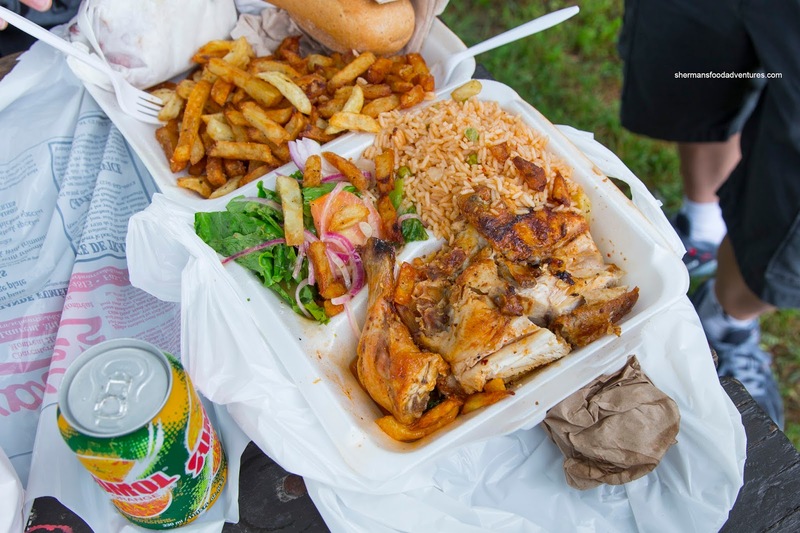 As for Romados, I got the 1/2 Chicken Combo that was completely stuffed with a large and meaty 1/2 chicken, salad, rice and a tonne of fries. I got the peri sauce in mild as the kiddies were sharing the food. I thought the chicken itself was nicely marinated and completely tender including the white meat. The sauce added a nice sweet saltiness as well as a mild spice. The fries were also very good, being even better than the one from Schwartz's with a crispier exterior. 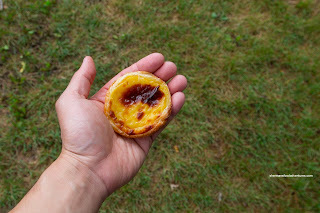 Lastly, I had a Portuguese Tart which sported a crispy and thin shell where the custard in the middle was on the thicker side, but still smooth and creamy with a purposefully amount of sweetness. Even though there were 4 adults and 4 kiddies, there was still a ridiculous amount of food (2 chicken combos, 2 smoked meat sammies and the poutine). Good value eats with the only negative being the lineups.